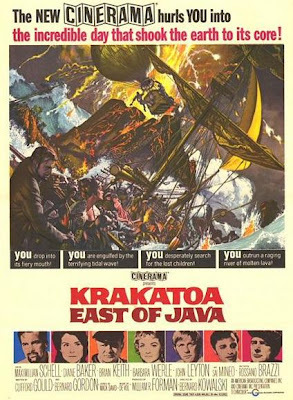 BLACK HOLE REVIEWS: KRAKATOA - EAST OF JAVA (1969) - or is it west? 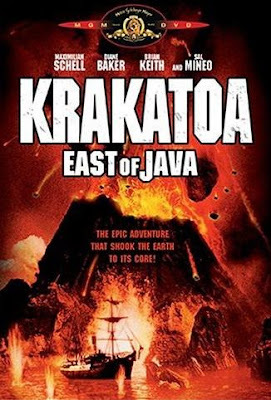 After reading Eugene Lourie's book 'My Work In Films' (1985, Harvest/HBJ) and how his methods for recreating volcanic special effects for Crack In The World (1965) were later reused in Krakatoa - East of Java, I thought it was about time to see it in widescreen. It's also just been released on DVD in the UK. Lourie worked as a production designer for Jean Renoir in France, then fled the Nazi invasion to live in the USA, where he also designed special effects and started to direct (The Beast from 20,000 Fathoms, Behemoth the Sea Monster, and of course Gorgo). He later returned to Europe, often favouring Spain for both studio and location filming – just as he did for Krakatoa – East of Java. 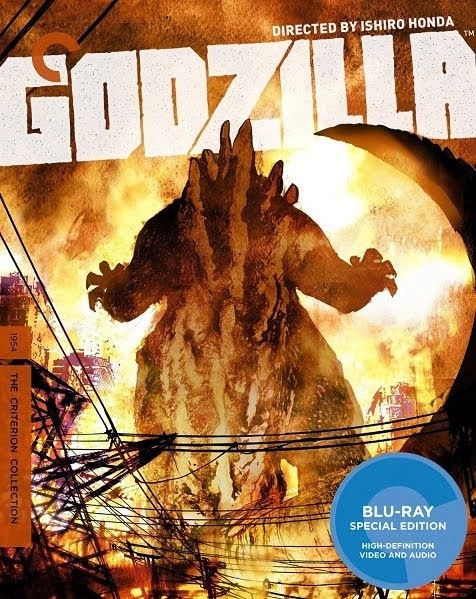 According to Lourie it was shot in 70mm, but the credits call it Cinerama (a process of filming with three cameras line up next to each other), which indicates that the film was destined for gigantic screens. Specifically for Cinerama theatres, (you could think of it as an IMAX for the fifties), extra long point-of-view shots are included to add to a rollercoaster feeling. On a huge screen, when the camera spins around, or tilts like a boat in the rough seas, the audience are going to get more than a movie but an experience, possibly of nausea. While the bulk of the action is a grim adventure, the Cinerama label demands something more of a family film, resulting in an unlikely triple volley of songs at the start! These are in addition to the three-way splitscreen musical montage of spoilers behind the opening titles, again trying to look like true three-camera Cinerama. There’s then a bizarre schoolsong, coaxed along by two sweaty nuns, trying to distract a class of frightened children from a volcanic eruption. This mystifying scene doesn't gain significance for nearly two hours of screen time! After a dollop of dockside exposition, there's a rather modern ‘west coast’ pop ballad as the steamship 'Batavia Queen' sets sail. After more introductions to the key characters onboard, there's a third song, staged like a screen musical, as over-the-hill chorus girl Charley dances and ickily vamps her ageing boyfriend. Considering the duration, these songs feel like inappropriate padding, and a disastrous way to start a catastrophe. Thankfully it settles down to a more even keel, with grittier dramatic conflict and the eerie signs that a huge eruption is imminent. Little do the crew realise, it'll be the hugest Earthly explosion in recorded history! But this is no documentary, more like a Jules Vernean adventure. The Captain is more interested in a fortune in pearls and has recruited a diverse A-Team of experts. To scout for the wreck, there are two balloonists and a guy with a diving bell. To retrieve the booty, there’s a deep sea diver aided by Japanese pearl divers, with very impressive lungs. 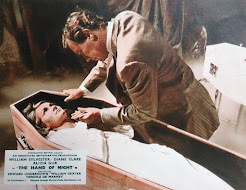 The script pushes hard some unusually liberal sixties amoralising, considering it’s supposed to be 1883, with some strident messages about relationships outside of marriage, judgemental attitudes about murderers, forgiveness... All this and an opium drug dream montage too. There's so much going on onboard, no wonder everyone isn’t bothered about the pumice mortars flying overhead, and the endless volcanic explosions. As they get closer to their goal, the story contrives to take the audience down inside the crater just as it’s warming up, right past the lava flows as it starts to erupt (in a marvellously hellish scene reminiscent of the climax of The Black Hole), and hangs around to experience both the final explosion and subsequent tsunami. The visual effects range from silly to spectacular. 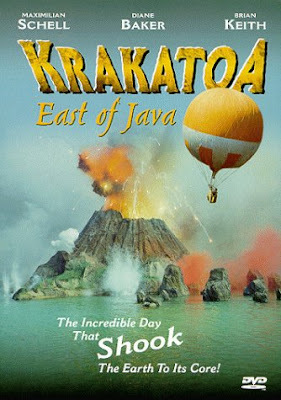 The balloon looks like a small model, as does the master shot of Krakatoa (stupidly, this shot is on the cover of the Anchor Bay DVD). As the action moves closer in, the huge tenth-scale model of the steamship set against the exploding lava is a hugely complex setpiece, that makes for a convincing and exciting scene, the deck getting pummelled by flaming debris. Basically the special effects get more impressive as the film progresses. 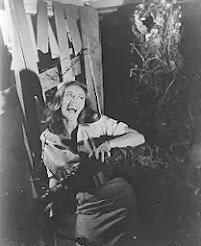 Lourie’s special effects help carry the film, along with the solid cast. Maximilian Schell (who had command of a spaceship in The Black Hole) is convincing as the single-minded Captain, sparring with junkie diver Brian Keith (The Wind and the Lion, The Zoo Gang, Meteor) and a hold full of convicts, lead by J.D. Cannon (the angry Police Chief in McCloud). The father and son balloonists are played by Rossano Brazzi (The Italian Job, Omen III: The Final Conflict) and Sal Mineo (Rebel Without a Cause, Escape from the Planet of the Apes). Geoffrey Holder (Baron Samedi in Live and Let Die) appears imposingly, but doesn’t get a single line of dialogue. Also keep your eyes peeled if you want to see Eugene Lourie himself, in a brief appearance as a lighthouse keeper. The Anchor Bay disc had a sharp picture and a generous anamorphic widescreen presentation (with a full-frame option on the flipside). Since then, it's been re-released on DVD by MGM in the US, and last month by Fremantle in the UK. 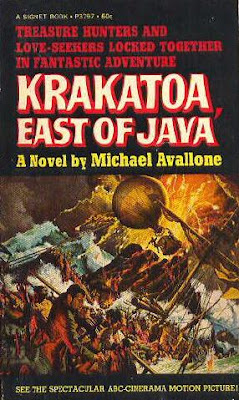 I have always been curious about the source of the title, given that Krakatoa is WEST of Java. The script had been sold before the geographic error was detected.